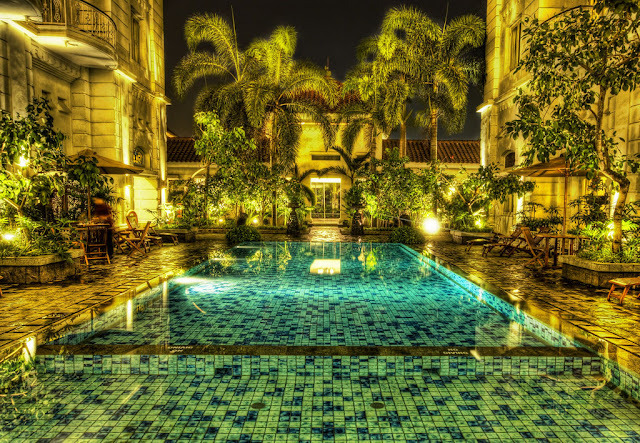 We found that there’s lots of things to do around Yogyakarta, such visiting the spectacular nearby temples of Prambandan and Borobodur, or checking out the fine craftmenship of the workers producing ornaments and trinkets. The majority of our trip was spent on the island of Java, which is the most densely populated island in the world, with over 135 million people, thats 60% of the population of Indonesia! 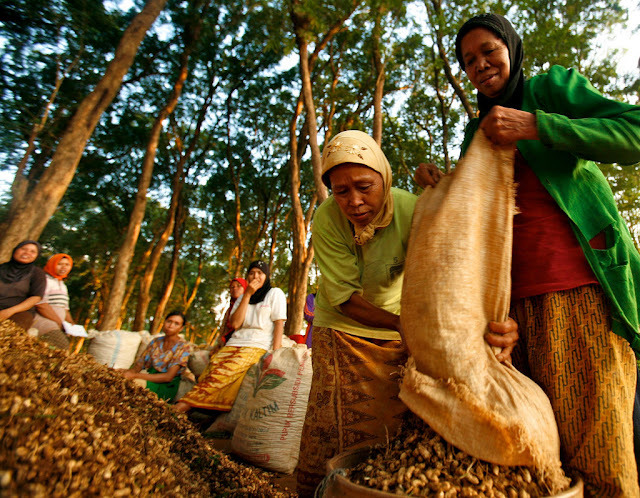 Java is known as the centre of Indonesia, as it dominates the country both economically and politically. Whilst there is over 10 million people who live in the capital Jakarta, much of the population still live in the more rural areas and depend heavily on traditional farming and agriculture to earn a living. 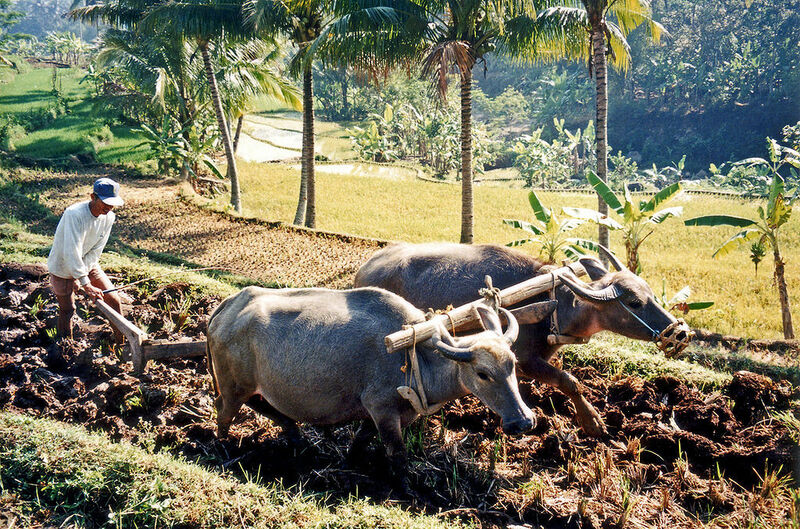 The same techniques used for decades are still employed all over the Java districts, and next to nothing has changed in the way these people work in the last ten years, since we've been travelling there. There are around six hundred species of palm, growing in tropical regions of Asia, which are used to produce Rattan furniture. These fast growing vine-like plants can reach up to a 100 metres tall. 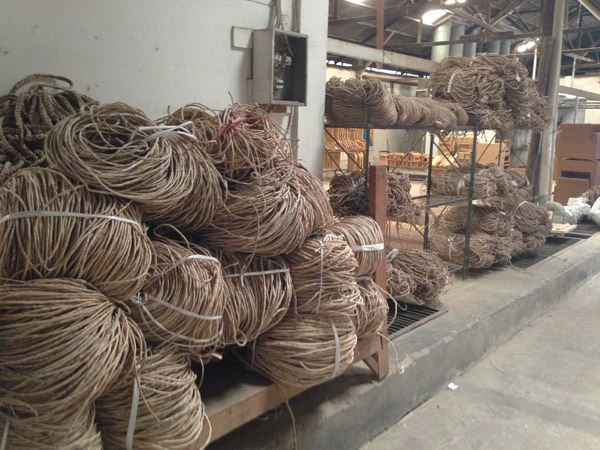 The vines are harvested by local loggers, and then the material is used in the production of furniture such as baskets and chairs! 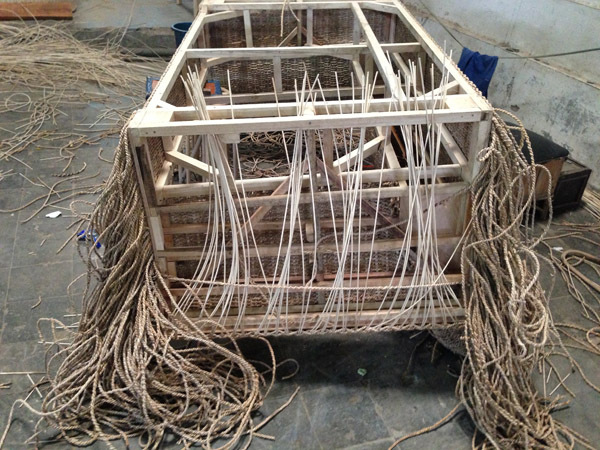 Top quality rattan is sanded down before it is used so as to stop any hair like strands fraying. 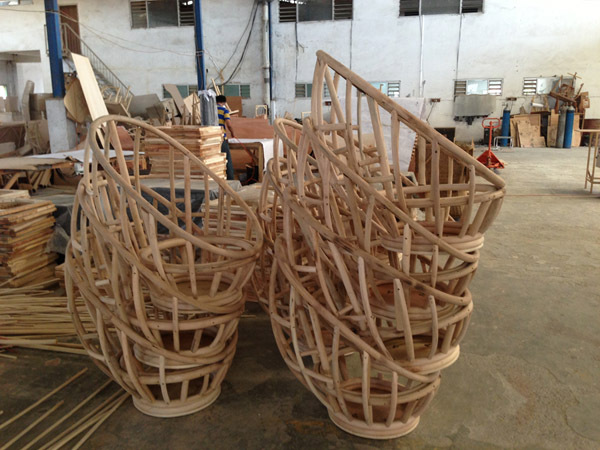 This is carried out with all of our quality rattan furniture. 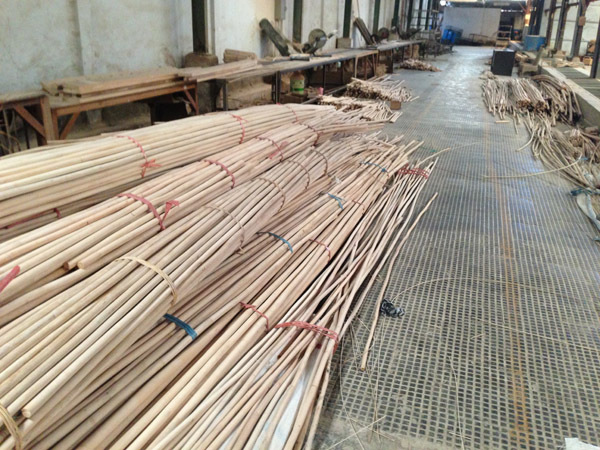 The great things about Rattan use, are that its far less detrimental to the health of the forest than traditional logging, as it grows back quickly, and also the processes used to harvest the vines are far less intrusive and take less time. 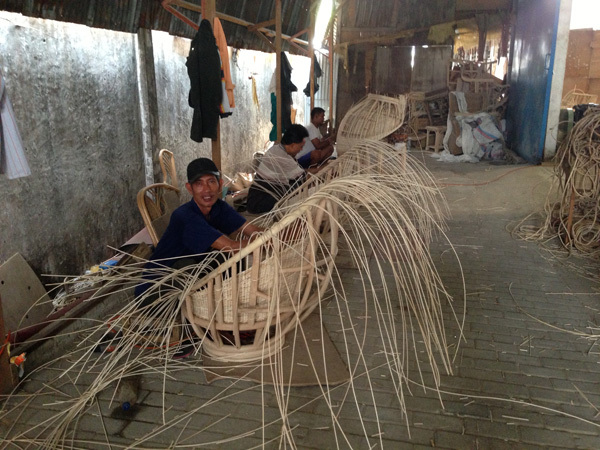 Rattan furniture has been promoted because it gives the people living in these regions the ability to harvest and earn money from the material, without diminishing the longevity of the forest, as these vines re-establish themselves so quickly. 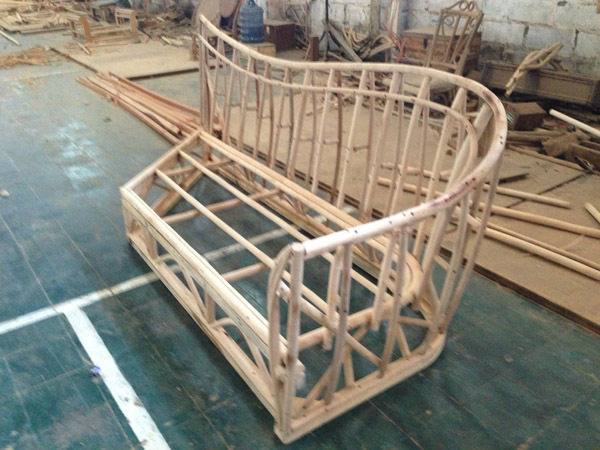 It's great to see the same traditional techniques for making furniture havent been lost, getting passed down from generation to generation, to enable the young workers to create quality peices using highly skilled methods. The levels of concentration from the workers are second to none, the satisfaction they must get from completing each peice rewards them hugely, but the revelling is short lived, as there's always more work on the horizon! 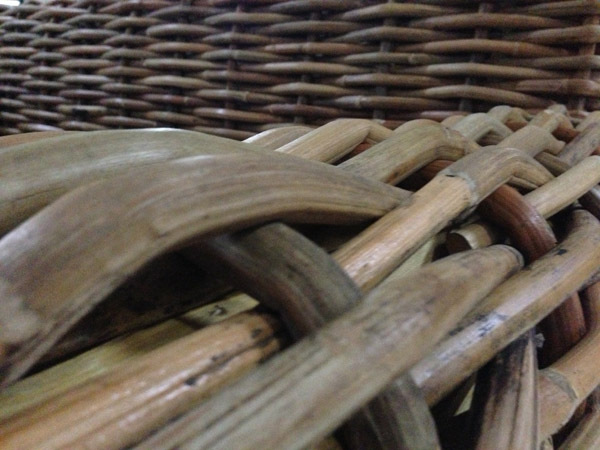 Stem thickness - its key to remember that the thicker the rattan, the stronger it'll be, so you should be looking for anything around 3cm thick. 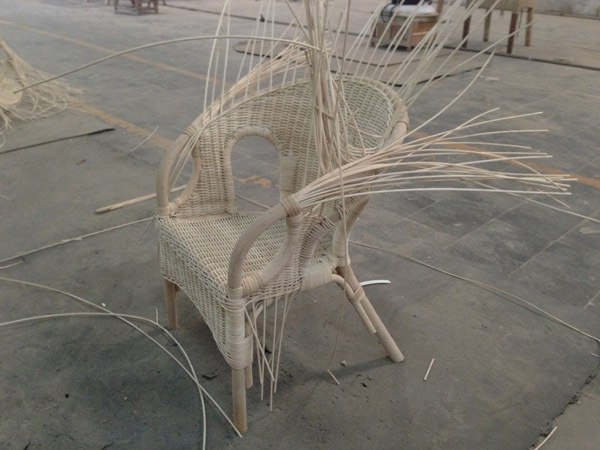 Smoothness - top quality rattan is sanded down before it is used, look out for any hair like strands coming from the material. Even colouring - rattan should be an even colour, the actual shade is just down to preference, but you should look for peices with an even shade of the colour throughout. Fixings - rattan can be held together using nails and staples, but this is only really suitable for occaisonal use, and we would always recommend looking for items that have been glued and nailed if you'll use it often. This worker is practically strapped in to his chair! What focus! 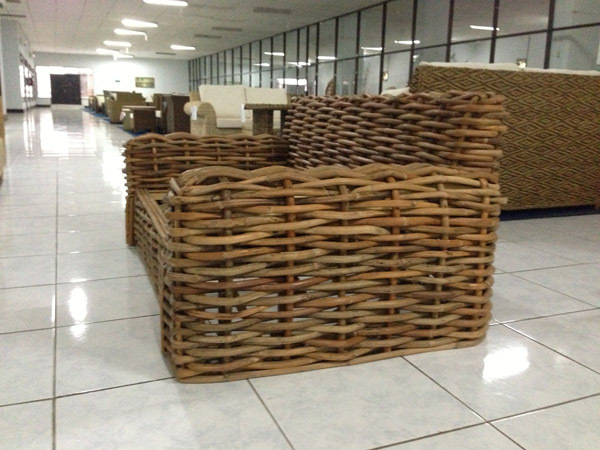 If you are going to store your rattan furniture inside, then with a little maintenance it should last you for years and years to come without any affect to its elegant look or comfort. Simply rub the furniture down with a slightly soapy cloth, taking care not to soak the rattan. If the wood does get too wet, you can dry it slowly by placing it the sun for a short period of time. It is also worth coating the furniture with shellac to seal the wood, and guarentee its protection for another year. If you are looking to store your rattan furniture outside, then you'll be happy to know that our furniture is manufactured to the highest standards using Ecolene, a highly durable protective synthetic substance, which protects the furniture from the harsh extremeties of the British weather. Ecolene rattan furniture does not require any special treatments, simply rub it down with a damp cloth as you would any other peice of rattan. 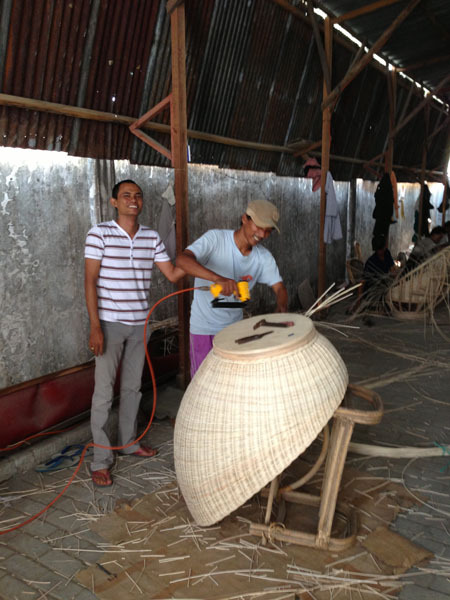 Applying the finishing touches to a Rattan Swivel Chair - available in store! 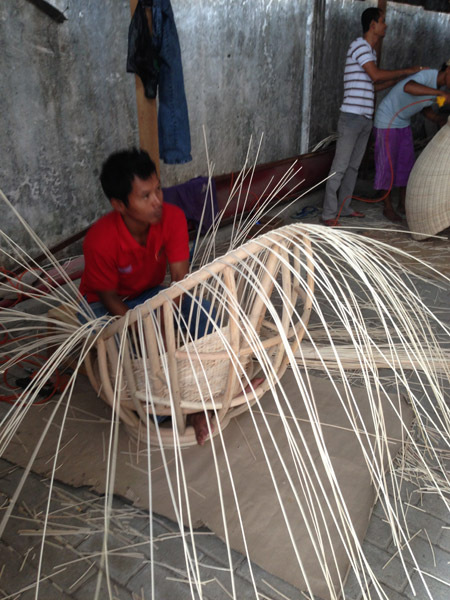 Below we can see the same techniques being applied to one of our popular rattan wicker chairs. 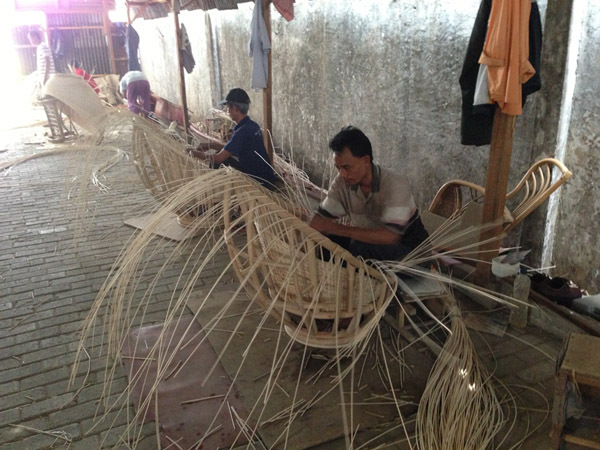 The weaving process is intricate and takes hours of hard work, which you can really tell when you see the finished product. 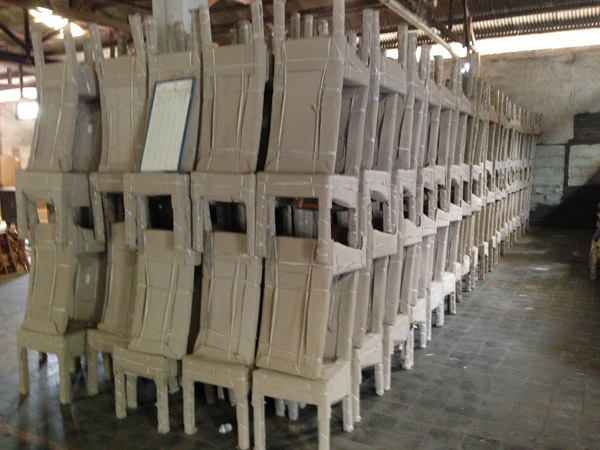 Below you can see a shipment of chairs ready in the warehouse for shipping to us!